Ashley is currently a juvenile defense attorney in private practice and also have a court appointment contract with Colorado Alternate Defense Counsel to be appointed on complex juvenile defense cases or for youth at risk of adult criminal prosecution. She is also an expert consultant on juvenile life cases both in Colorado and across the country. Her passion for juvenile justice and developmentally sound practices began when she was in high school and truly flourished during college and beyond. Ultimately, she applied for a dual degree program to ensure her education could help me best advocate for youth at risk of juvenile court proceedings. She is most passionate about telling her client’s stories in a way that conveys their human potential no matter how serious or how violent the alleged crime may have been reported. 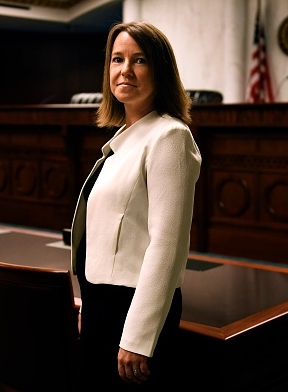 She believes that each of us are all more than our worst acts and she strongly believes that with thorough investigation and complete in depth mitigation investigation, there are themes of her clients’ lives that have been untapped and needs that were unmet which can be resolved through a restorative justice approach to criminal defense and juvenile defense. Chinn, J & A. Ratliff, “I was put out the Door with Nothing” – Addressing the Needs of the Exonerated Under a Refugee Model, 45 CAL. W. L. REV. (2009). Law Review Article. Ratliff, A. & Maren Willins, Eds. Criminal Defense Based Forensic Social Work (October, 2018). Book.